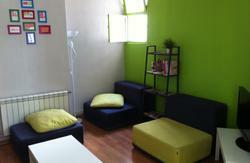 360 Hostel MalasaÃ±a is located in Madrid's central neighbourhood of MalasaÃ±a, famous for its trendy alternative scene. This vibrant quarter is full of lively bars and clubs overflowing with young people. There are many vintage shops, used book stores and unique gift shops. 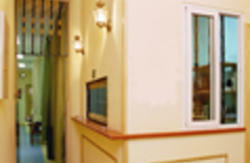 The attitude of the nightlife is relaxed, unpretentious and friendly. We have a fully equipped guest kitchen so you can save some money and make your favourite dishes. There's Wi-Fi and enough computers are available with 24hr free internet for you to keep in touch and plan your next trip. Bed linen is also included in the price and our friendly young staff will attend you in any matter, from tourist info to hidden spots.